The Titanosaur was a diverse group of sauropods that lived from the Late Jurassic to the end of the Cretaceous periods. 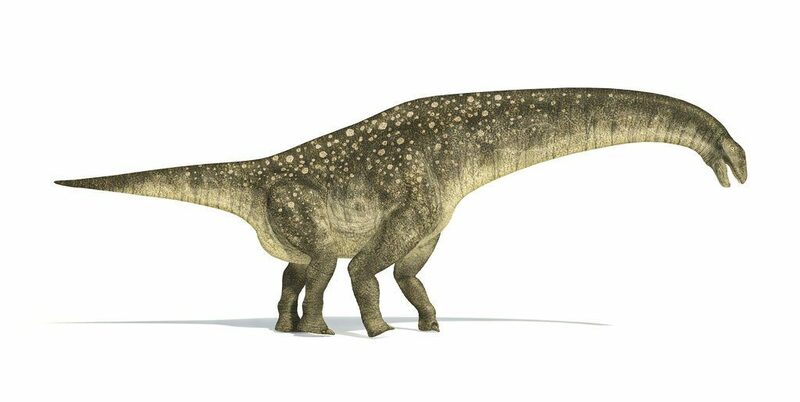 It contains the largest terrestrial animals known with a few of them even reaching the size of modern-day whales, for instance, the Dreadnoughtus that belonged to this genus was the largest known land animal in the history of the earth. It was in 1877 that the Titanosaurus was described for the first time by Richard Lydekker, an English naturalist, the fossils of which had been unearthed in the Lamenta Formation of India. Lydekker proposed that the natural habitat of this gigantic creature was mostly in and around India. The name ‘titanosaurus’ means ‘titanic lizard’, and was kept after the Titan Gods from the Greek Mythology. Since it was discovered only around 130 years ago, it is considered a relatively newer discovery. 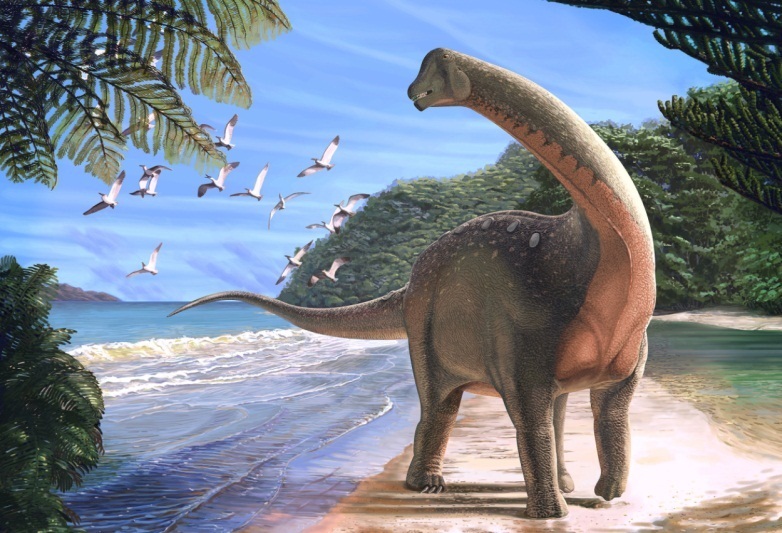 However, there has been much debate related to its classification while it is considered a nomen dubium (“dubious name”) by most biologists because the specimens of the original Titanosaurus could not be successfully distinguished from those of the related animals. Since then, numerous species discovered from Europe to Central America have been disputably assigned to the genus titanosaurus, though, a large number of researchers and biologists have taken only two into consideration, the T. indicus, and the T. blandfordi. The sizes of the species belonging to the genus vary greatly, starting from giant sizes to relatively very small ones. 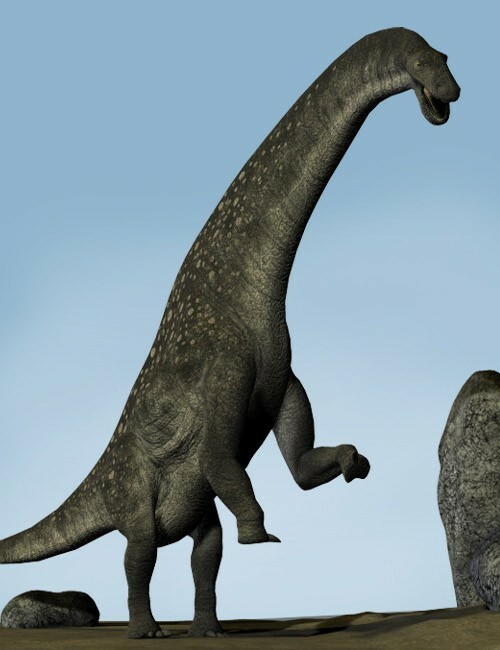 For instance, Neuquensaurus, one of the smallest forms, has been estimated from the discovery of a few bones to be around 7 meters (approximately 23 feet) and weighing around 10,000 kg (11 tons). 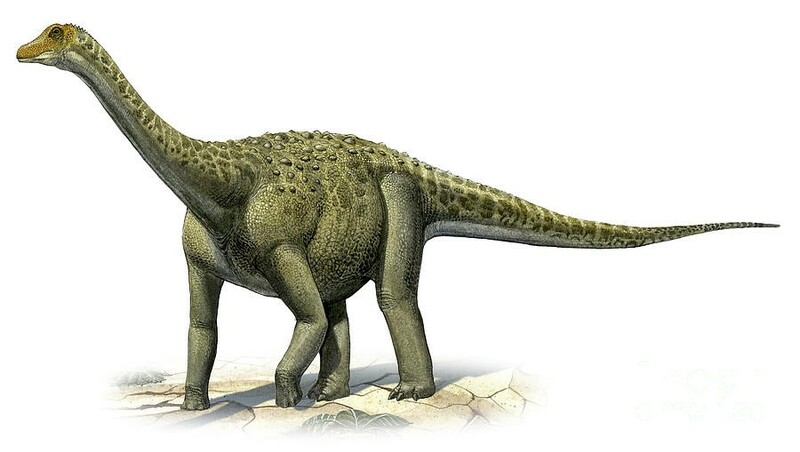 Unlike other Sauropods, the Titanosaurus did not possess hollow bones in the vertebrae as it had a shorter neck. The dorsal side of its body had bone plates in order to protect them from predators. However, their neck was flexible and agile, compared to others of its type. These animals were four-legged and had the structure of lizard-hip. Unfortunately, even after lots of attempts, the skull or head bone samples of any of the titanosaurs were never found. They possessed a vertebral column that had its internal structure shaped like honeycombs, as well as six sacral vertebrae. 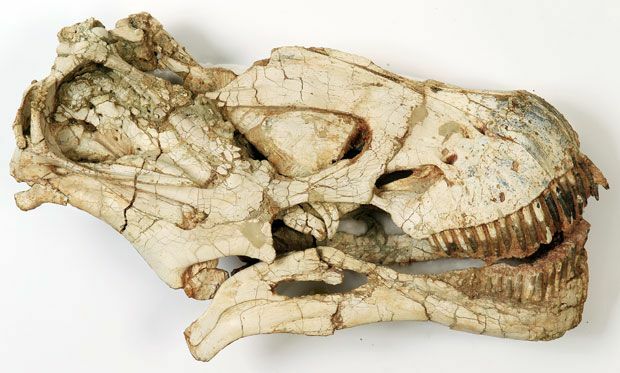 Additionally, some species of the genus, including the Rapetosaurus and the Saltasaurus, had been seen possessing armored plates called ‘osteoderms’. These herbivores are believed to be fairly peaceful creatures that were content with roaming their range foraging for food. In other words, as long as they were not attacked, they will never be offensive. However, an attack or threat from any enemy would turn them fearsome. Their weakest attacks were enough to cause phenomenal damage. However, their natural instinct to wander from place to place spontaneously made them deforest an area because of their giant sizes. The specific feeding behavior of the species has not yet been known. However, all species belonging to the genus Titanosaurus were herbivores and would feast upon mostly leaves and various other plant matters. In the movie ‘Terror of Mechagodzilla’ released in 1975, a water monster was named after the ‘Titanosaurus’. 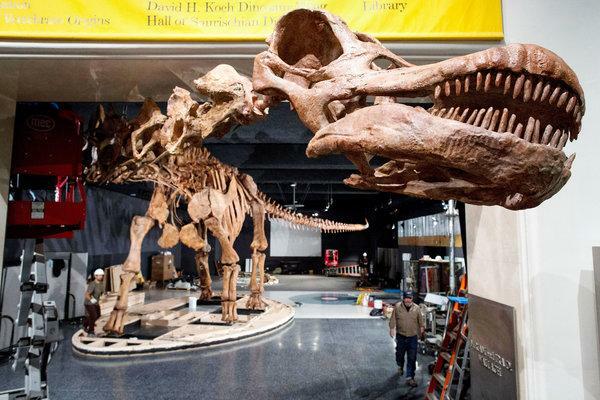 The neck of the largest Titanosaurus was so tall that they would need five floors to cover the entire structure. Its natural enemy was Abelisaurus. Published on January 31st 2019 by admin under Reptiles.